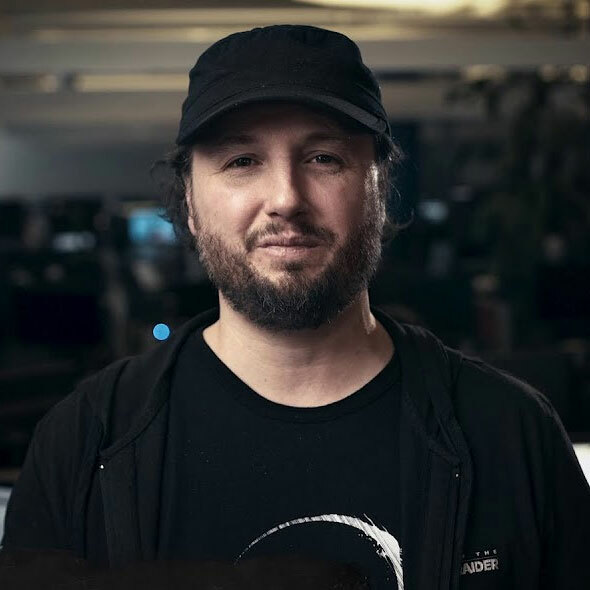 While Noah Hughes led the development of Rise of the Tomb Raider at Crystal Dynamics, Daniel Bisson took the lead on Shadow of the Tomb Raider in Canada at Eidos Montréal. All right, so what is the most challenging innovation you have introduced to the incoming Tomb Raider? There’s a lot of things that we did, there’s technological things that we did. For example, the lighting, we completely reworked the lighting system to have something that feels much more natural. The lighting now can pierce through vegetation and things like that, and also the reflection inside of water, so we can have this beautiful water. It was very important for us because it is a very different take on the art of this Tomb Raider, because it’s more colorful, because it’s the jungle, it’s much more alive. The second thing in terms of technology, with the interaction of the character, was the vegetation. Everything moves. Every single thing, leaves and everything, moves with whatever, it’s the animals moving into the world, or the player, or the AI, or anything, the vegetation actually moves on that. For the gameplay aspect of it, if you’ve seen it in the trailer, because we introduce the rappel and the way to explore the world. One of the things for us was to rethink how to do the environment, the world. So one of the challenges we had when we build out was all about climbing, was never going down. So it was always like you had to drop down, or you had to climb and just walk yourself down. So one of the things that was very important for us, that we want to have much more experience and make sure Lara, so going down what we have to have a tool that was giving her a lot of control. So it was important to go down with that, and the way we are thinking about the level design was more into the verticality. One of the big, big things that we did also is to create what we call the living world. That was very, very, very difficult for us because the engine at the time didn’t support as much characters on screen in the size of the hub that we built, so it was very important for us that we push that limit. I would say it’s 1.5 bigger than the biggest hub in Ride and with the verticality, with going onto water and above it, it’s even bigger than that. So it was very, very challenging doing this so that we have this social aspect of it. So there was a question about the camp. Do we get to have any camps? Of course we’re going to keep the camps, they’re a part of the origin story franchise, they’re a part of the core gameplay. But we are pushing it to the next level. We call them the social camps, so we have people now sharing some of the camps with you. Because having Lara having conversation with people is very important in this game so we can know a lot more about what’s happening inside Lara, what she thinks and how she feels about things. So is the system returning, of course it is. One of the things that was important for us, is because this game like we said this game will be a bit different in their approach. The difficulty in the exploration, we want the player to be a lot more free to explore and not to follow too much the yellow brick road that we establish. Right now what we wanted to do is that now by default the camp at normal difficulty will not be light up. Some of them will, but most of them will not. You will have to light it up. You don’t need resources to do that, but you will need to light it up. So you can actually see your path that you built as you explore. You know which side that you already explored, so it is very helping in terms of knowing where you already went. So, that was the thing. Of course at the hardest difficulty it will be very similar, you will have to use a resource. So this is for us, when we think about the camp, it is still though about upgrading your skills and crafting some of the weapons, and things like that. It’s still about that in our traversal. So is there any balance between possible action, is it focused more action on gameplay? This is something we were hearing the fans loud and clear. In 2013 it was the first time we actually had that type of combat in the game, so we were pushing a lot on that side. On Rise was bringing back the tombs. This game is about more balance. It’s more balance between the puzzles, the combat, and the traversal. This is very important for us, because that’s the trajectory. This is where we needed to be ending at the end of this game. So when we did what we called the blueprint, when we thinking about the game in conception, we actually give ourselves this rule, it has to be a minimum a third, a third, a third. We heard that Shadow of the Tomb Raider would be the most difficult Tomb Raider game, can you explain in what way? That was me saying that. It is very important, when we were thinking about this game, we said we need to be much more challenging in terms of how you explore the world. So we have now a difficulty option in the game, and it’s not just about combat now. It’s about puzzles, it’s about combat, and it’s about exploration. So if you’re playing at easy mode on exploration for example, remember the white paint in Rise of the Tomb Raider? We had white paint, that will be on easy mode. On normal mode, the white paint will be disappearing in environment, so it will be blending way better. At hard mode, no white paint. So we wanted to bring more of the puzzle-aspect to traversal. So you can imagine playing in-game, can I rappel down here, can I do this? This is crazy. Same thing with underwater. Finding your way. You remember on Rise, Lara was telling you „Oh, I should be doing that during puzzles.“ If you play on normal, she was just saying „Oh wow, I need to solve this.“ Easy will be closer to what we did on Rise, she will tell you exactly what to do. If you do instincts mode, on easy the next thing you need to do to solve the puzzle will be blue, the rest will be golden like in your normal survival instinct. If you are playing normal the general thing in golden. But on hard, she will not say anything, and nothing will be highlighted. You will have to figure it out yourself. Yes, it is harder combat at normal, because now you have to craft a lot more of your ammo, and you will not find as plenty. So it’s very important for us that you can build the Tomb Raider experience that you want. If you don’t like combat, you can put it easy, if you want harder puzzles, you can put puzzles. So you can do that as much as you want so you can build your own experience. Okay so the question, how much of the groundwork has been laid by Crystal Dynamics before it was Montreal took the lead? I was game director on Tomb Raider 2013, I’ve been on the franchise for eight years now, I was at Crystal Dynamic at the time, and mid-production of Rise, moved back in Montreal because my wife loved the cold. It was important for us that Crystal was still my team when we started Shadow. I had worked a lot with Noah Hughes, my partner for 2013. He took the lead on Rise, and I took the lead on Shadow. So at the beginning of Shadow we were the lead because we wanted to bring something different also, even though it feels like a real Tomb Raider game. But there’s something different about this one, like the social hub experience, because that’s important! We need to showcase and watch more a human Lara. But also it was very important for us also to keep the moment where she’s alone and just absorb what she’s doing. That was also very important. So yes Crystal was very important. Will there be any reference to previous games to the plot? That’s a very good question. I would say that yes, for those who played it. There is some reference but it’s very important to say first is that this game could be played without playing the two previous ones. That is important for us that you could just jump in and say I wanna play that. That version of Lara, and not going actually going through the two previous games. But one thing that was for the fans or people actually playing the two previous games, they will have moments in there where Lara will talk with Jonah about things happening in the previous games and for those who played them will feel more … they will have a smile and say oh my God, they mentioned that. Very important, yes, but it’s not core to the plot. According to the description of the collector’s guide, we will have more options of customization – are we going to have the option to personalize in more with her outfit and equipment? So this is a very good question. Yes, the customization has exploded, because one of the things we wanted to do when we started thinking about this game at the beginning, three years and a half ago, was we wanted to provide an experience where you could have your own Lara. 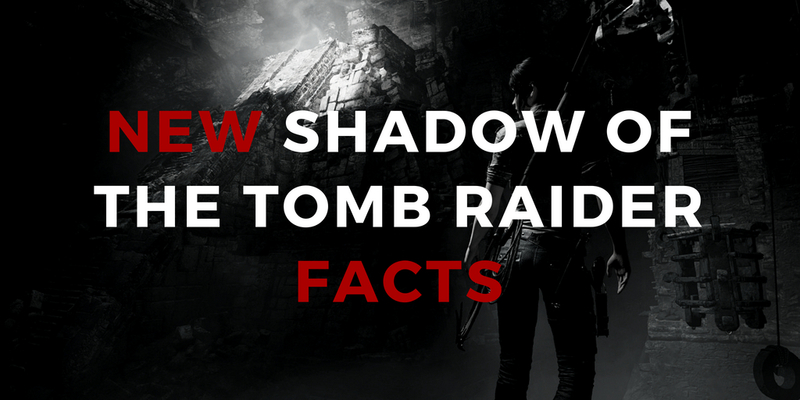 You want a Lara that’s more about how efficient she is in combat, you can do that. You want a Lara that’s way better in tune in exploration, you can do that. You want a Lara that has more skills of understanding how to survive and how to go in nature, in the jungle and tame that jungle, you have that. So it was very important for us. So yes, you’ll have top and bottom outfit, and you will have different game play bonuses to them. Lara’s more experienced in Shadow Tomb Raider. Was it difficult to relate this to the player? So it was very important that we not only we make her evolve visually, but also the way she experience the danger. She’s gonna be complaining less about things happening around her because she’s more precise. So it was it difficult, I would say, to relate the actual character, I would say when we reached it, it was great but we had to really think about her from ground up and how she also express herself when she gets into a difficult situation, but also how she express herself when she’s just relaxing around a table. It was very important for us to make sure that you feel that. What separates SOTTR and elevates it above its competition? The feeling that you could go anywhere, you could do anything. You could see a place, there’s no invisible wall preventing you from doing that, it’s a feeling of that freedom and how you feel accelerated about that. So it was the same for us, it was pushing the envelope even further. You’ll feel way more free, you can do a lot of things you would not imagine to do, so for us that was important. To put a focus on story was very very important because it was her personal journey. It was very important, showing a side, a good side and funny side of Lara in this game because it’s not gonna be just dark. There’s dark moments but also light moments. But for us, when you’re looking as a whole package, it’s really the thing is about freedom. What recognizable aspects have been brought into the character of Tomb Raider in order for us to see her grow into the character we know and love? She cracks jokes now, that’s one of the thing, it was very important for us. The clothing, the tactical clothing she has, the blue tank top and it was purposefully made like that, we wanted to have this evolution. Same thing with the pants. One of the things also, there’s a couple things I cannot talk about that happen later on, but one of the thing for us it’s really showing that visually, mentally, she’s getting there and that the world also feels more, I would say, reminiscent, because she can take these dangerous place so through a lot of the puzzles people will be able to say, “oh my God it feels so much like the classical Tomb Raider”. Yeah, that’s a very good question. Just wanna say though that people react to that because the first thing we’ve shown was the beginning of the game and there was a lot of tutorial there (so of course, because we are at the end of the trilogy, we are sharing some of the same behaviors from Lara, from the previous two games). So when you have to teach a player how to walk and jump and climb, of course you’ll feel like there’s some similarities. So what really changed? There’s a lot of new mechanics. You’ve seen some of them. One of the things that is important though, is the way you experience tomb raiding in this game is very different. Like I was saying, one of the things, like if you are going underwater, it’s a very different feeling from Rise. You were going underwater in Rise, but it was about surface swimming, it was about going one point to the other one. Another thing also is the hub itself. We said, hey the combat – how can we change the combat? How can we make the combat much more about if you don’t want to fight and you want to skip it, what would the multiple tools you can do? So that is giving it, providing it, very different experience than combat. Lara now, you know she can stay hidden all the time so the eye is reacting differently. Also she can instill fear. So there’s a lot of different dynamic on that. Same thing with the aspect we call Smart Resourceful Lara, the crafting and resource. Where you have weapon one, part one, weapon one, two, three? We got rid of that and we put much more on getting the weapon itself and focusing more on the upgrades itself and feeling more empowered because of that. Now we have the social aspect of it, like I was talking earlier. And the economy is completely different, you can now buy weapons, you can buy a lot of things in the shops and experience. Wait until you experience later. You’ll be like oh my God, this is very different. So next question is by Giovanni. How about the AI? Will we have some improvements in there such as not just for Trinity soldiers, but also for the animals that you find in Shadow of the Tomb Raider? So I’ll talk about the jaguar, for example. The jaguar, we completely rebuilt his behavior and his AI compared to the previous two games with things like the bear because we wanted to have an animal that was much more cunning. And we used the environment to disappear. Her first encounter with the jaguar is very frightening, but you’ll see in her face, she’s going, she’s gonna say to herself, I’m going to go against it. And then she learns, she learns how it disappears, how it uses cunning-ness to defeat their prey. And she will, the player and her will learn from that. So there’s a very different thing, because when you’re playing with fear and becoming the jungle, you have to be able to play with Trinity and you have to be understanding to the patterns of where they take you when they go to one place to the other. And to do that we’ve we pushed the AI further. Vinnie asks „Is SOTTR taking consideration of what’s been happening in the comic books and books and games, there’s a large, large degree of different series that’s been coming out such as like The Dark Horse Inferno Series, how does that relate to both Rise, as well as Shadow of the Tomb Raider? We try to make sure we stay in cannon. So we were working closely with Noah because now Noah is the franchise director. Our writing team work very closely with them. There’s a couple of things that we are referencing in the game. But it’s not core so people don’t understand, because one of things that’s important is that we have to do a game where it will be experienced by as much people as possible. How different would be the system of learning if Lara could learn about the culture, like are we collecting any part to fit to the clue? Or is it more about really learning the historical facts? There’s the current present situation of the culture, and there’s their past and their mythology and things they believe in. If you wanna know a lot more, you can interact with a lot of these people. But you have overheard, you can interact with them and listen to what they have to say. Some of them we even give you some hints, some game play elements or a Challenge Tomb round, things like that because we try to make sure that even the Challenge Tomb is within the same mythology of the world where you are. So if you’re in Paititi for example, the Challenge Tomb there will be about that. It will be about the past of these people. So it is very important for us that you learn as much as possible, because there’s very interesting learnings to have from them. We worked with an historian at the beginning for the world and linguistics for the language. People are gonna be speaking in English. But we have a mode in the menu where you can have full immersion and you can listen to them talking their native language. During an E3 Twitch interview a fan asked if Shadow of the Tomb Raider will have a photo mode (to make extra fancy screenshots). The devs said they couldn’t answer the question but they would listen to the fans so … I am hopeful!